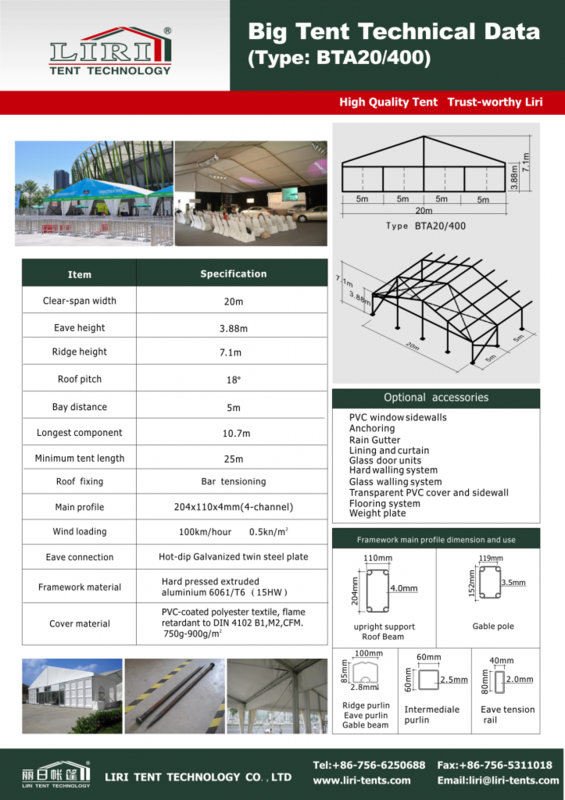 Liri large aluminum pvc tent used for warehouse, the fabric roof cover could be block out or translucent. 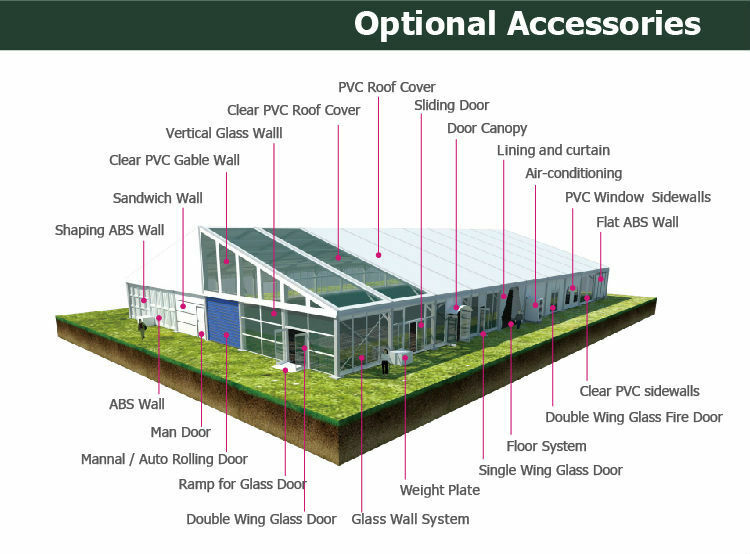 Roller door, thanks for its convenience, is popular for warehouse tent. 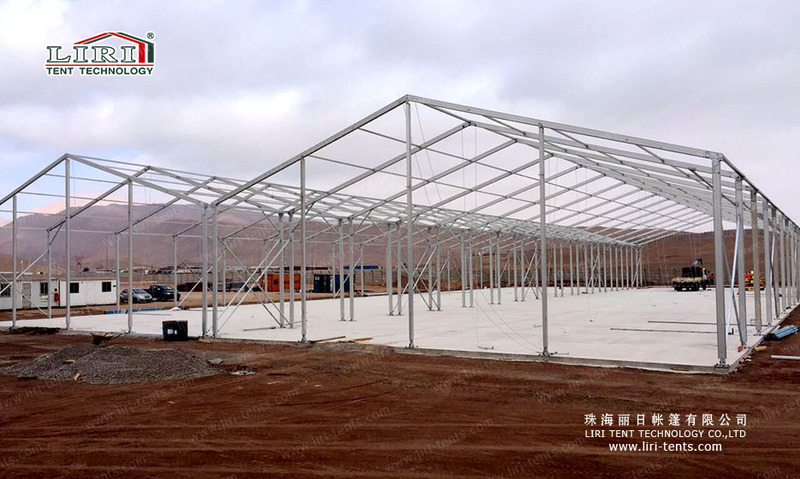 If you are looking for a temporary or semi-permanent tent for warehouse, then you can choose Liri.